Esys® has a firm commitment to quality in all systems and service and a strong feeling of responsibility for our environment, and as such, we provide expert consultation, state-of-the-art technology, top-notch installation, comprehensive training, EPA compliance assistance, and ongoing maintenance and support services. 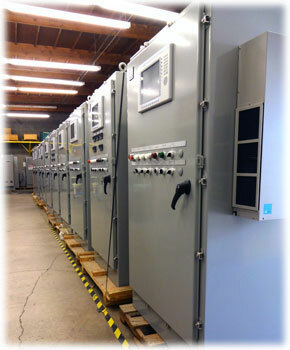 The Engineering Department specializes in the design and integration of electronic process control systems. 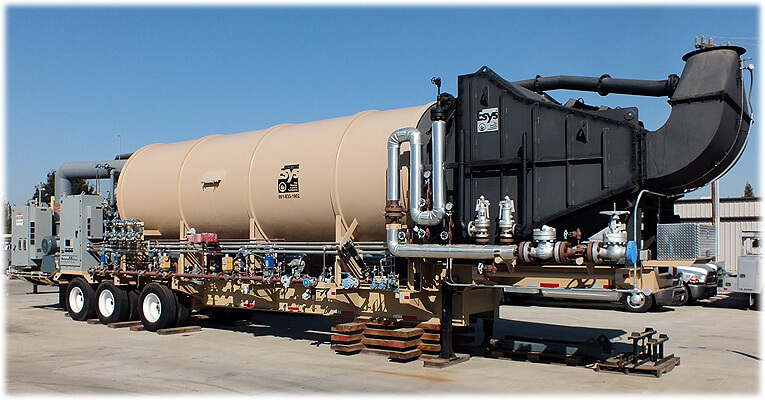 Esys has available for rent or sale new 25 MMBTU/HR (input) Trailer Mounted Once-Through Steam Flood Generators with accompanying control systems. Each portable generator is provided complete with radiant section, convection section, stack, control cab, low-emissions combustion system, feedwater pump, and trailer. Each generator is capable of producing a maximum of 1,500 barrels of steam per day at 1600 PSI as well as 3:1 turndown for steam production, making them ideal for oil field applications. Learn more about our portable steam generators. The federal Environmental Protection Agency, in addition to state and local regulatory bodies, continues to place greater focus on reliable oxygen, NOx, CO, H2S, and combustible gas and continuous emissions monitoring systems (“C.E.M.S.”). Esys’ capabilities and expertise allow us to meet your environmental monitoring needs using state-of-the-art stack gas emissions analysis technology, offering the highest quality turnkey C.E.M.S. in the industry. The most critical aspect of continuous emissions monitoring analysis is the reliability to obtain and test a true representative sample from the process stream. At Esys, our Design and Engineering teams have extensively invested their resources in developing and perfecting technology to handle hot and wet, cold and dry, and dirty processes. 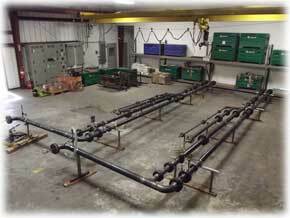 The objective has been to design, engineer, and fabricate systems of the highest quality. 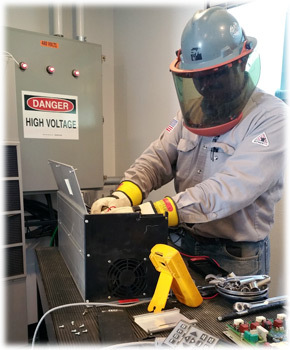 The commitment extends to maintaining trained, skilled, and professional staff to assist with installation, maintenance, testing, calibration, and certification of gas analysis systems. 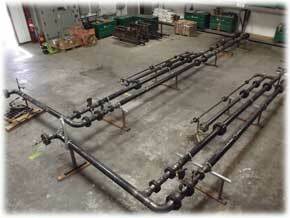 The Construction Department specializes in the installation of process control instrumentation. 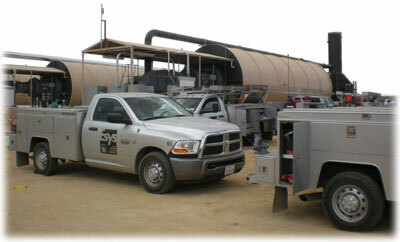 Services here include fabrication, X-ray scanning, and hydrotesting of fuel trains. 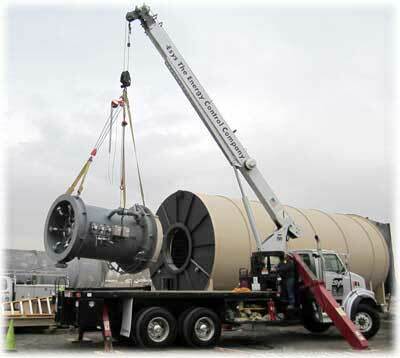 Field services described below are available for all systems and components provided by Esys. Esys® provides a variety of custom designed, UL 508A certified panels which are assembled at our New Horizon, Bakersfield, California, facility. 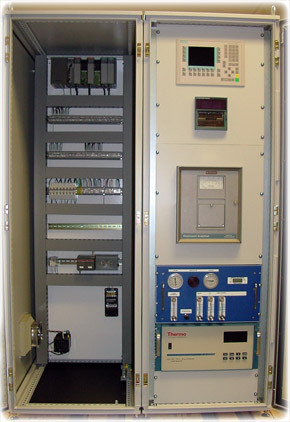 These include our control panels, “auto-cal” panels, VFD panels, transformer (480V) panels, oxygen analyzer panels, and more. 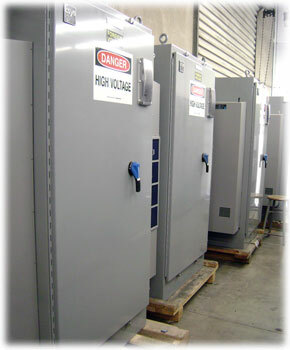 The Construction and Service Departments can also provide control panel installation and start up service. 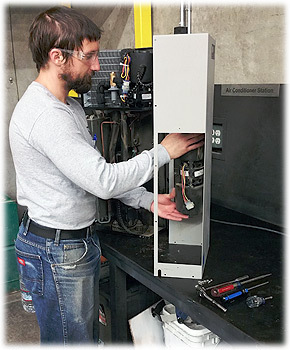 Repairs that require a clean, temperature-controlled environment are performed in our climate-controlled Repair Department. The Panel Shop and Repair (“RMR”) departments are located in our 22,000 square foot New Horizon facility. 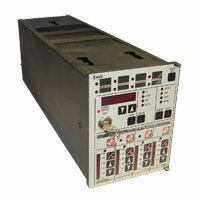 Esys® performs repairs on most of our products in-house. This is made possible, for our customers' convenience, by maintaining an abundant stock of spare parts at our New Horizon facility. Common tasks include the cleaning, evaluation, repair, and calibration of oxygen probes, oxygen analyzers, and positioners as well as the cleaning and evaluation of gas shut-off valves. These products, for example, are cleaned in the machine shop, removing contamination and scaling, followed by the identification and replacement of defective mechanical parts. Each product is then fully tested before returning to the customer. Esys® also offers calibration services for a variety of process instrumentation, test, and calibration equipment, performed to the highest standards by our qualified trained technicians. 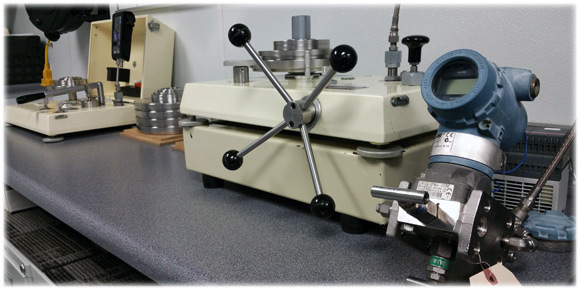 Some of the equipment that can be serviced in the Metrology Lab is listed below. 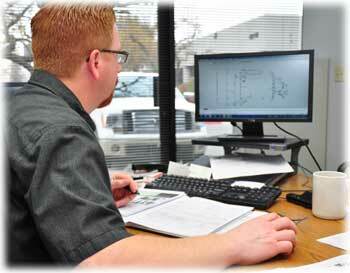 Contact us at +1 (661) 833-1902 for your specific metrology, calibration, or repair needs. 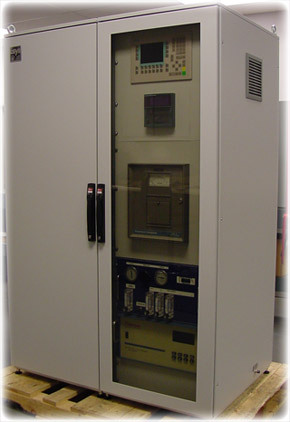 Esys® performs repairs on drives of all sizes, including load-testing the drive following service. 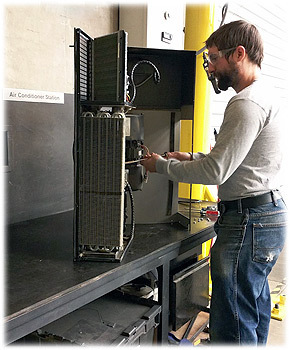 Esys® now provides a dedicated field service team for servicing Ice Qube air conditioners. A 1-ton service truck has been fully stocked with spare parts as well as complete air conditioners to support the service effort. 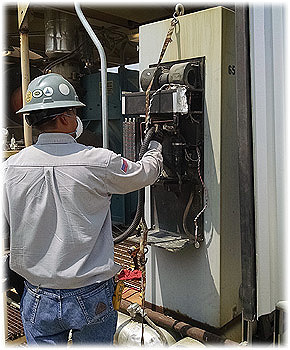 Esys is equipped to perform routine cleaning (such as coils and air filters) and electrical repair services in the field. 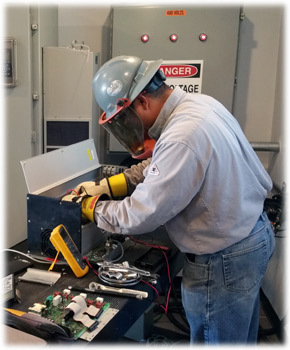 More extensive repairs such as condenser and evaporator repairs will be conducted at our Bakersfield facility. Services can be scheduled by contacting us or calling our main office. The Esys® Metrology Lab is conveniently located at the New Horizon facility. 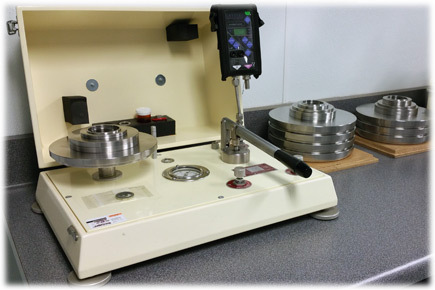 This lab includes state-of-the-art, high-precision (better than 0.015% of reading) deadweight testers traceable to the National Institute of Standards and Technology (NIST). 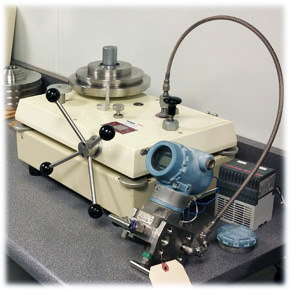 Other equipment utilized in the lab includes pressure, temperature, and signal indicators/monitors, pressure generators, portable electronic calibrators, and electronic testing equipment. 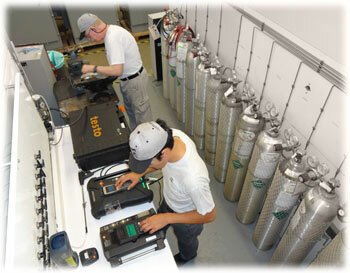 A certificate of calibration is provided for all equipment serviced. 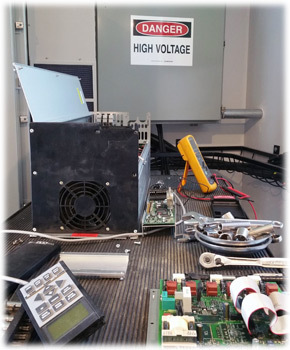 All customers’ equipment is thoroughly cleaned and inspected prior to calibration. 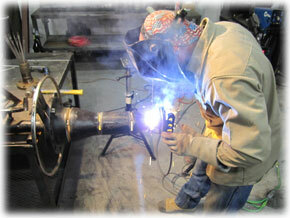 Instrument repairs are provided as needed and with the customer’s approval. While Esys® remains a competitive service provider by staying current with advances in technology and processes, we continue to maintain support for many products that have been discontinued or are now considered legacy items. Esys® continues to service and manufacture many of the products we supply which have transitioned into legacy status by the manufacturers we represent. 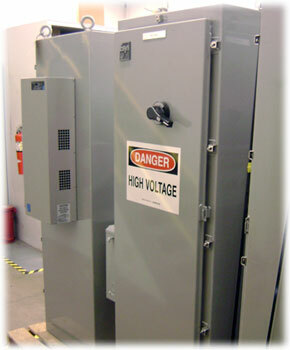 Such products include the Model 1500A MLC Combustion Controller. Before deciding on a complete upgrade/overhaul of your systems, contact us. Additionally, Esys is able to help your company seamlessly migrate to modern systems while maintaining the look and feel of your current systems, thus reducing turnaround and training times. Esys is able to reverse engineer your legacy software to modern PLC-based systems to further aid in this seamless transition. Contact Esys and let us help you determine the most efficient course of action. Esys® integrates and sells specially designed equipment including a patented Analyzer Probe Mounting Jacket, automatic test gas sequencers, electronic process control systems, and electronic test apparatus used to test and process simulate microprocessor-based controllers. Esys® maintains a stock of lab grade test gases including O2/N2 mixtures, CO/N2 mixtures, and H2/N2 mixtures. Other mixtures are available upon request. Esys® The Energy Control Company™ provides service globally.